Add fruit trees to the South Carolina landscape and enjoy a bounty of delicious, healthy food straight from your own backyard. Besides producing fruit, fruit trees are also an attractive addition to the landscape. It's important to choose varieties well suited to a particular regions, as fruit trees vary in both cold hardiness and their need for chilling hours for proper fruiting. Several varieties of fruit trees are adapted to growing in South Carolina's mild climate. Grow apples (Malus domestica) only in South Carolina's northern and western counties where soil and climate conditions are better suited to good apple production, according to Clemson University. Apples need full sun, especially in the morning so leaves dry adequately during the day, reducing problematic disease pathogens. Grow apple on well-drained, various soils, but preferably sandy loam or sandy clay loam. In South Carolina, lime is often necessary to raise the soil pH to between 5.8 and 6.5. Red delicious, golden delicious and granny smith varieties grow in all areas of South Carolina. Many other varieties are adapted for South Carolina depending on the region. Local county extension offices are good sources for specific varieties best suited to a particular area. Peaches (Prunus persica) and nectarines (fuzzless peaches) are commonly grown in South Carolina. Grow peaches in full sun for the best fruit production. Like apple, morning sun is important to dry leaves so moisture isn't left to stand on leaves and fruit for long periods. Soil for peaches should drain well and the area should have good air circulation. Purchase trees from a reliable nursery or garden center. 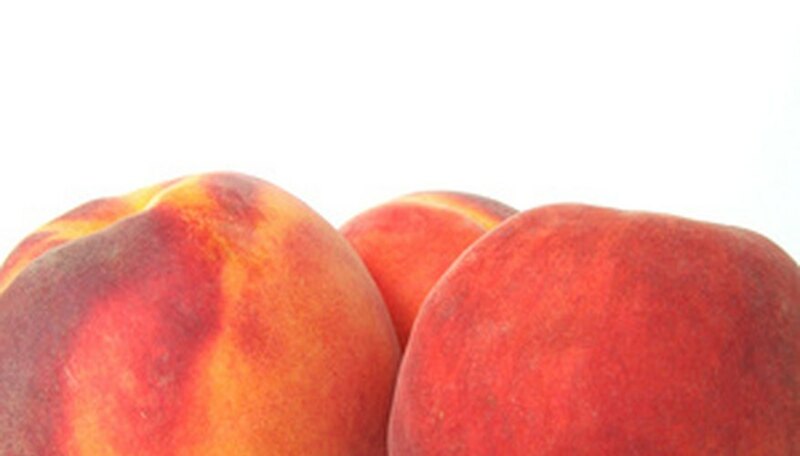 In coastal areas, choose peach varieties with low chilling requirements like Flordaking and Fantasia. Plums are another fruit in the Prunus family, but unlike peach and nectarine, they are not self-fruitful. Plant two varieties of the same type of plum (European, Japanese, or American) for pollination. Grow plums in full sun on a wide variety of soils, but they prefer deep, well-drained sandy clay loam or sandy loam with a soil pH between 6.0 and 6.5. Plums are often budded onto peach rootstock to reduce problems with nematodes. Popular varieties of plum for South Carolina include AU Roadside, Crimson, Morris and Ruby Sweet.